We will release our own API for Scoop.it soon…. 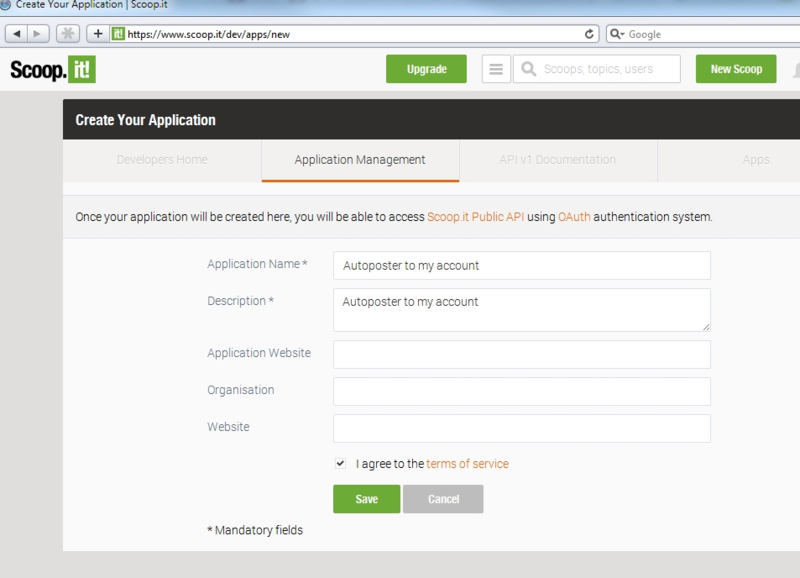 Scoop.It uses OAuth 1.0 for authentication and authorization. 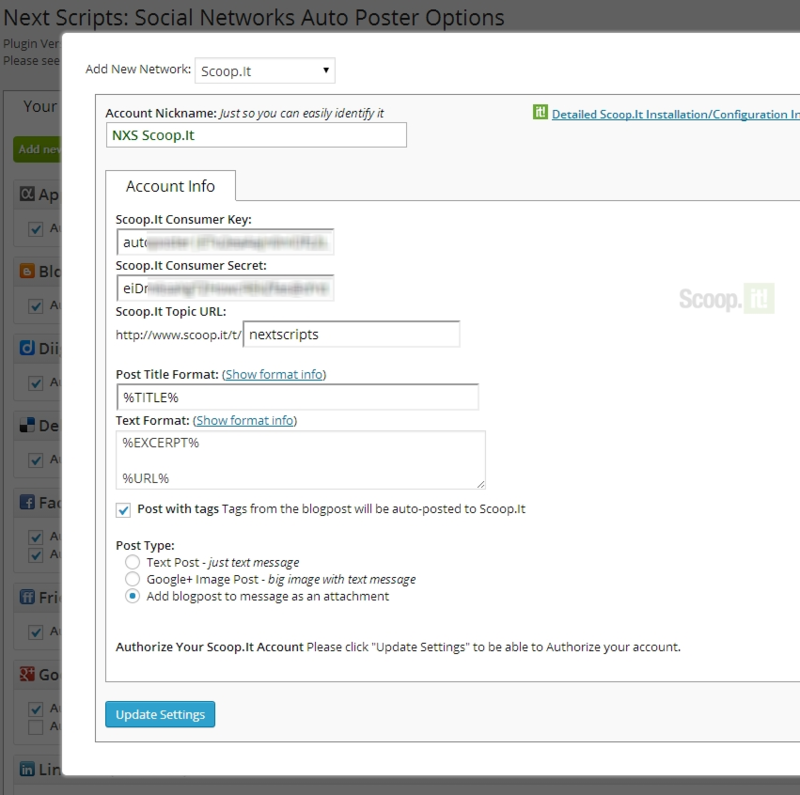 You need to setup Scoop.It Application, connect this application to your blog and authorize it. 1. Create a Scoop.It app. 1. Login to your Scoop.It account. 3. If you already made an application you will see it’s info here, otherwise click “Create an Application” button. 2. Connect Scoop.It to your WordPress. 2. Click green “Add new account” button, select “Scoop.It” from the list. 3. Fill “Consumer Key” and “Consumer Secret” from step 4 above. Fill “Scoopt.It Topic URL” with the last part of your Scoopt.It Topic URL. 3. 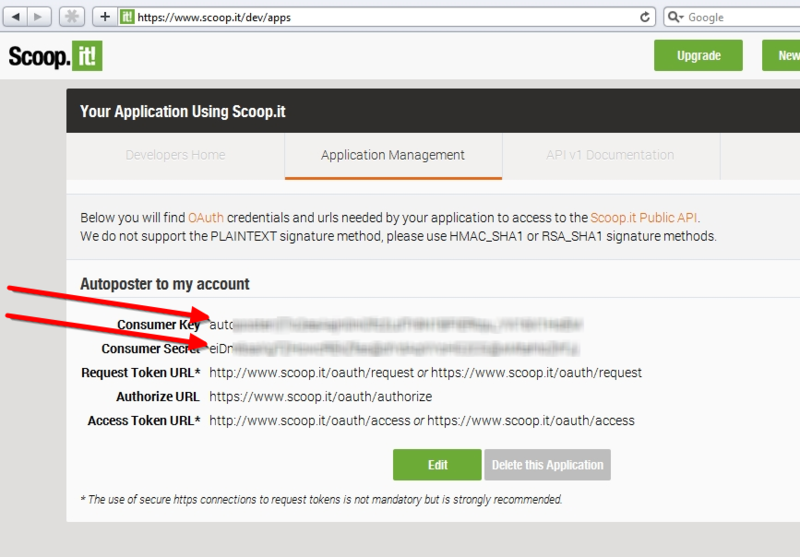 Authorize Scoop.It for your WordPress. 2. 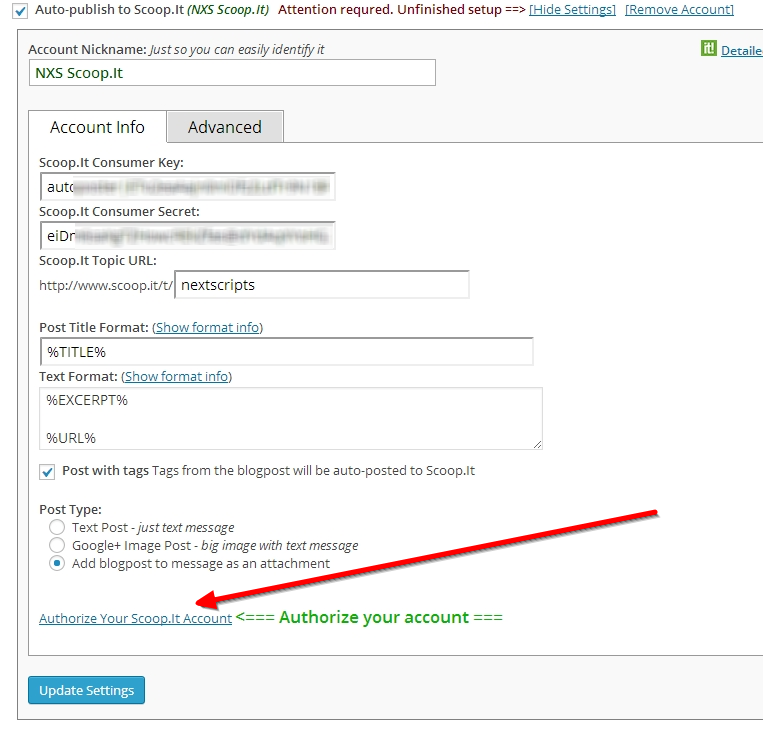 Click “Authorize Your Scoop.It Account” and follow the authorization wizard. Scoop.It will ask you to allow access to your account. 4. Your Scoop.it account is ready to use.